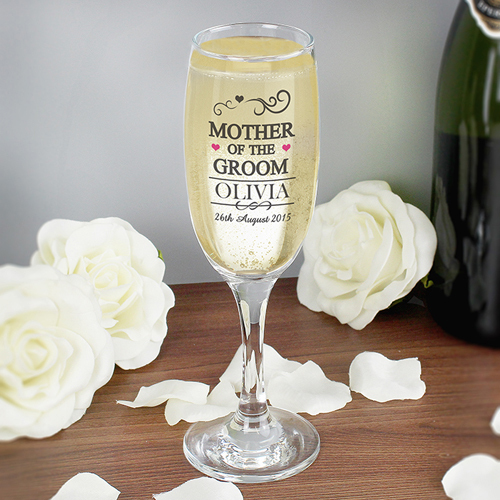 Personalise this Mr & Mrs Mother of the Groom Flute with a name (to appear in uppercase) up to 12 characters and a date up to 20 characters. 'Mother of the Groom' is fixed text. The name will appear automatically capitalised.